Charming 3-bed/2-bath home renovated to its core in sought after Decatur! Walk to Westchester Elem. and more. Cove molding, beautiful hardwood floors, high ceilings, original fireplace. Open living with large lr/dr and sunny lounge space, perfect for office or music room. Kitchen has granite counters, mud room, and tons of storage. Backyard has brand new perimeter fence for privacy and oversized deck. 2 new HVAC systems (upstairs 2-ton, downstairs 3-ton) new plumbing, electric, tankless water heater, foam insulated exterior walls/attic and more!. Charm and location!! From downtown, follow Ponce to Scott. House will be on your left. From Decatur, Clairmont to Scott, house on the right. Turn around space in the driveway. Hello, I’m interested in 528 Scott Boulevard and would like to take a look around. 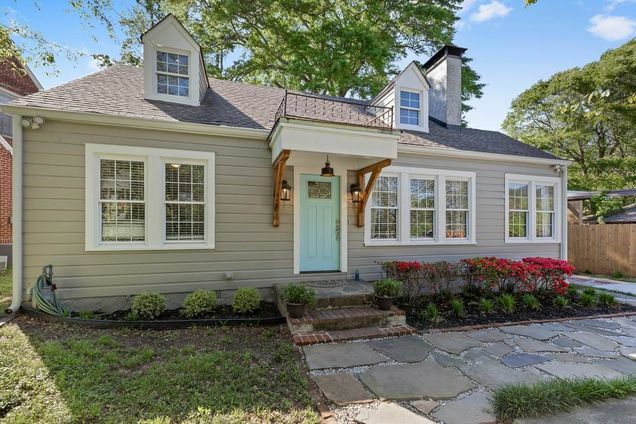 The details on 528 Scott Boulevard: This house located in Decator, Decatur, GA 30030 is currently for sale for $520,000. 528 Scott Boulevard is a house with 3 beds and 2 baths that has been on Estately for 1 days. 528 Scott Boulevard is in the Decator neighborhood of Decatur and has a WalkScore® of 48, making it car-dependent. This house is in the attendance area of Westchester Elementary School, Decatur High School, Renfroe Middle School, and 4 Th And 5 Th Acadamy At Fifth Avenue.